Tru School Sports: Can the World Anti-Doping Agency Keep Sports Clean? Can the World Anti-Doping Agency Keep Sports Clean? 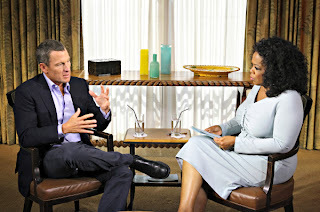 On Jan. 17, retired cyclist Lance Armstrong admitted to doping in a televised interview conducted by Oprah Winfrey. (AP Photo/Courtesy of Harpo Studios, Inc., George Burns). New York Yankees' third baseman Alex Rodriguez's legal team has spent a lot of money in hopes of appealing MLB Commissioner Bud Selig's 211-game suspension. On Friday, the World Anti-Doping Agency, WADA, passed new guidelines in hopes of keeping sports clean, according to Anita Powell of Voice of America. There have been numerous cases of professional athletes that had reportedly used or admitted to doping. 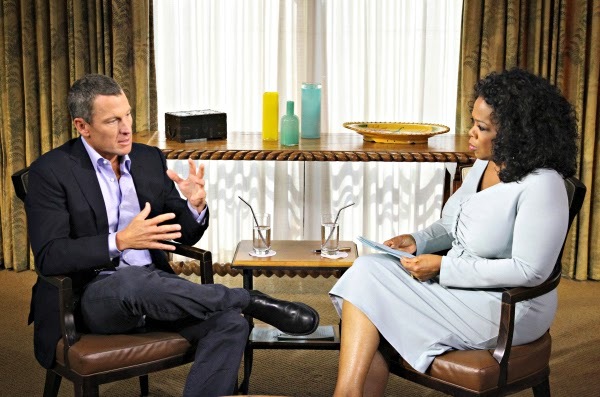 Some of the famous athletes to admit to doping in their respective sports are retired cyclist Lance Armstrong, Rodriguez-admitted to using Performance Enhancing Drugs between 2001 and 2003, retired St. Louis Cardinals' first baseman Mark McGwire, and former track star Marion Jones. There have also been many athletes that have been accused of doping, but have denied it. The first notable thing in the new guideline is what happens to athletes and anyone who helps them cheat. Any athlete and anyone who helps them cheat would be banned for four years if the athlete intentionally doped. It sounds like a great concept, but each professional sport has their own anti-doping policy. It would be tough for WADA to convince the players' unions of each professional sport, if there is one, to adopt this new policy. It took numerous years for MLB, NBA and NFL to adopt an anti-doping policy and MLB is the strictest. In MLB, the athlete would receive a 50-game suspension for their first offense. Beside the players' unions, some athletes would be stubborn to accept these new changes. Just look at Rodriguez appealing a 211-game suspension, which is the equivalent of one season and 49 games. The second notable aspect of the new guidelines is what happens to athletes if they decide to cooperate. Any athlete that decides to cooperate in the doping investigations may receive reduced sanctions. An athlete may look at only that part of the statement and think that he or she can dope, as long as they cooperate. They may think that if they do this they could receive only a one-year suspension. 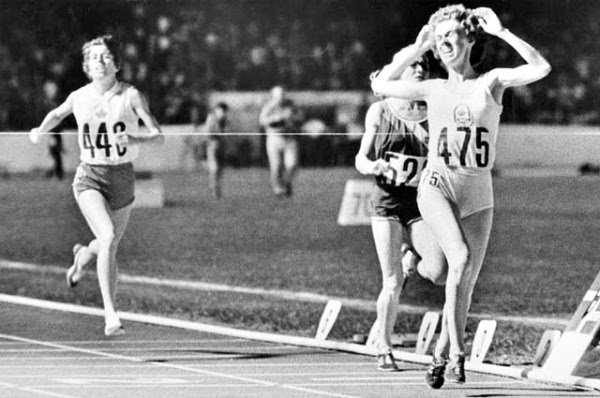 According to Peter Gambaccini of runnersworld.com, four-time Canadian Olympian Abby Hoffman said that the bans would be reduced from four years to two if the athlete claimed they had no intention to dope at the World Conference on Doping in Sport. However, departing WADA President John Fahey said that no athletes would receive special treatment. Hoffman emerging victorious at the end of her race, number 475. (johngushue.typepad.com). “It applies equally to athletes no matter what country they come from, what sport they’re involved in, whether they’re male or female," Fahey said. "It says you will be treated equally if you offend under the rules known as the anti-doping code.” Fahey will be replaced by newly-appointed Craig Reedie, according to Powell. “In 95% of the cases (the International Association of Athletics Federation) face, the athlete denies doping outright; and the blame is routinely laid at the door of a sacrificial coach, doctor or other third party. The new Code provisions on intention play firmly into the hands of these athletes and their unscrupulous entourage and will only serve in our opinion to make cases more procedurally complicated, time-consuming and costly than they ought to be." That is a valid concern by Hoffman because professional athletes, for whatever reason, tend to blame someone else for their accused doping. The new guidelines could lead to many non-athletes receiving suspensions because an athlete or multiple athletes might decide to blame someone else for their accused doping. The trials take long enough already, evidenced by Rodriguez's trial that has been occurring for nearly two months. Also, the trials cost hundreds of thousands, if not millions, of dollars. 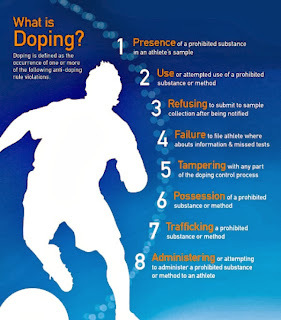 "The World Anti-Doping Code (Code) recognizes the right of athletes to the best possible treatment for any medical condition. If you are in need of medication, please contact your International Federation or NADO to find out more about the criteria and procedures to apply for a Therapeutic Use Exemption (TUE). More information on the TUE process can be found in the Science and Medicine section. "Before applying for a TUE, it is recommended that you consult your doctor to consider possible alternative treatments that do not involve the use of a prohibited substance or method. If such an alternative treatment exists, your TUE request will likely be denied and the whole process can only delay your recovery." This would be a huge issue because athletes like retired Yankees' starting pitcher Andy Pettitte said that he used human growth hormone to help him recover from an elbow injury in 2002. 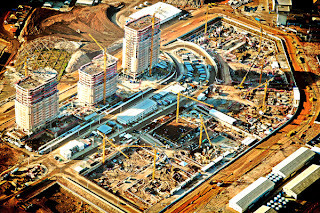 The guidelines will not go into effect until 2015, a year before the Rio de Janiero Summer Olympics. WADA's guidelines, if it is unchanged by 2015, will be put to the test during the pre-Summer Olympics drug testing in 2016. The Athletes Village will be composed of 31 buildings and will be able to receive over 17,000 people during the Olympic and Paralympic Games. (Municipal Olympic Company/Renato Sette Camara). good stuff as usual Noah.